hey there-- I've been a follower of your site for a while and it's probably my favorite JD/NO site. I'm a novelist (Mysterious Skin, etc) and huge fan of JD/NO, and for the past year I've been working on a series of books where musicians & writers tell their stories of hearing specific iconic bands for the first time. The very first book in the series is about Joy Division / New Order... 45 different musicians and writers have contributed to it. At present the books are available as digital downloads (e-books) for 2.99. This project has been somewhat of a labor of love, so I've been sending the word out about the book on my own. 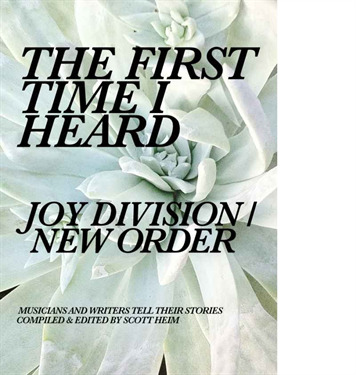 I'm really proud of the book and ongoing project (and I think lots of Joy Division / New Order fans would be psyched to hear what tons of other famous musicians have to say about first hearing these bands' music). © Copyright 2012 NewOrderOnline.com, except the works of other authors. All rights reserved.